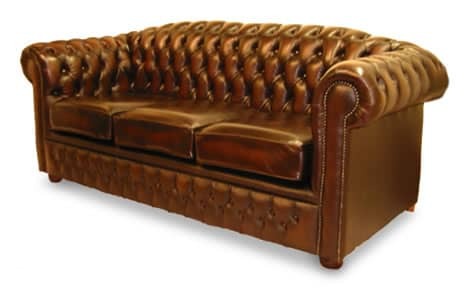 The leather Royale Chesterfield Sofa is a classic. Not only is it expertly handcrafted with a higher back for enhanced support and comfort, this leather sofa is stylish, luxurious and great value for money. Bespoke to order, choose from a wide range of sizes, colours and leather finishes to best suit your room.